Every year my mother picks cherries. She doesn’t think twice about climbing on a ladder and reaching over the fence to the neighbor’s tree and picking all the cherries she can reach. She read somewhere that fruit that fell from a neighbor’s tree into her yard is legally hers. She insists she is merely assisting the cherries to fall gently to the ground on her side of the fence where they were going to fall anyway. 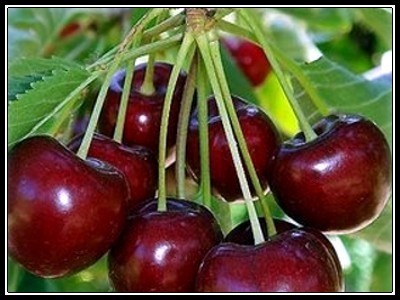 Then when she gets enough cherries, she fills two big glass containers and pours vodka over them to make Cherry Bounce. I really don’t have a problem with that because my Mama is over 80 and if the worst thing she ever does is make Cherry Bounce with cherries of questionable origin, I think I can live with that. Cherry Picking patients is another story all together. I am not a lawyer so I will not speak to the legalities of it, if there are any. I am not an ordained minister (if you don’t count the free certificate I ordered off the web just to see if I could) so I cannot offer you moral advice. I am, however, a long time participant of home health in various capacities at various companies and I assure you that I recognize sleaze when I see it. We all know the agencies who visit patients right up until their benefits run out. In Louisiana, Medicaid patients are seen by one set of agencies in the first part of the year and another set of agencies in the last part of the year. We know of agencies who refuse expensive wound care patients and low paying Medicaid in other states. Proving it would be difficult but I cannot count the number of times that I have been in a client’s agency and a referral came from a discharge planner or doctor’s office reporting they had tried two or three other agencies before they could find someone to accept the patient. Nurses, excluding the DON, often don’t have much of a choice over setting policies in an agency but we do have the responsibility to advocate for our patients. We can insist on timely discharges and responsible frequencies so that a patient will get the care that they need. We can also insist that visits be increased when needed regardless of the cost to the agency. It is never appropriate for a financial person to bully a nurse into writing a care plan that doesn’t meet the needs of the patient. It is also not a financial decision to determine if a patient is ready for discharge or needs to be recertified. Before I start interagency wars, I have experienced that good agencies often have some conflict between the clinical and financial departments. I see agencies thrive when both sides are firm in their positions and each side knows when to relent or compromise. As a nurse, I think every patient needs daily visits and the most expensive wound care products. As a businesswoman, I realize that nobody gets care if the agency cannot stay afloat. It is only when clinicians and ‘money dudes’ have mutual respect for each other that solutions benefiting both the agency and the patient are regularly discovered. If you are competing against an agency who never compromises with the clinicians and consistently refuses care to expensive patients or low paying patients because of ‘staffing’ shortages, document each event that comes to your attention. If they occur repeatedly, send the information along to your state survey office. They have every right in the world to determine if the agency had sufficient staff for other referrals that day. When physicians who are Medical Directors of other agencies only refer money pit patients to you to protect their interests, document your concerns. If it happens repeatedly, diplomatically confront him. Smile sweetly and be courteous while you let him know you believe he is behaving in a manner that is an embarrassment to his profession. Do not use those words. I like making money. I love business. I work all the time to help my clients increase their margins. There are countless ways that it can be done but none of them involve being sleazy. Sometimes, doing the right thing costs money. When a patient requires care, it will likely be provided. There is always a nurse who can be talked into seeing a patient with real needs. The question is which provider will lose money on the patient? Hopefully, the same provider who is able to accept and admit high dollar patients will take a hit now and then. If not, the agency that does admit the patient is without a doubt the better agency. Of course, their outcomes may not reflect it because costly patients often are at higher risk for hospitalizations and since their competition only admits high profit patients, it stands to reason that their patients will have better outcomes. If you have any solutions to this issue, please share them below or email us. It frustrates me when I see this happen and I get paid regardless. I cannot imagine the frustration agencies experience on a daily basis. All of my solutions usually result in long discussions with lawyers and tailors measuring for prison scrubs. Help your fellow agencies out here and provide some ideas that do not jeopardize licenses, marriages or freedom. Wow, I thought I was the only one who ordered one of those certificates just to see if I could. LOL But seriously, I agree wholeheartedly and there are moments when we must turn down a patient that we cannot staff due to our size, but those moments are rare. We do get the ones that the larger for-profits refuse. On the other hand I did work for a large for-profit in another county for a while and I never saw them refuse a patient. They did plenty of other questionable things though…. I really don’t think that it has to do with the size of the company in a lot of cases. An entity with legal rights and existence including the ability to sue and be sued, to sign contracts, to receive gifts, to appear in court either by themselves or by lawyer and, generally, other powers incidental to the full expression of the entity in law. Individuals are “persons” in law unless they are minors or under some kind of other incapacity such as a court finding of mental incapacity. Many laws give certain powers to “persons” which, in almost all instances, includes business organizations that have been formally registered such as partnerships, corporations or associations. Organizations, large and small, have corporate personalities. Like people, there are some you want around all the time and others you would rather not know at all. The key is in the leadership of the agency. This usually means the owners, but not always. There are companies like Tom’s Shoes who make a decent profit by selling ugly shoes that are matched in donations to people who think they are the most beautiful shoes on the planet. And there are companies who try to get as much value out of their employees without ever giving anything back except the smallest paycheck they can legally write. Those companies usually end up with desperate people who cannot get a job elsewhere. Everyone goes to work for more than just a paycheck except when life hits them hard and they have to take whatever comes their way. When that happens, they work only for a check and leave at the first opportunity. So, why does anyone think it is any different in home health? If an organization has a personality that is all about the cash at the expense of patients and nurses, they will get only those nurses who are unable to find employment elsewhere and the good ones will leave at the first opportunity. If a business has character, they will build an organization that is strong enough to withstand a loss now and then for the sake of good patient care. The nurses will respect the company they are employed by and understand the need for financial responsibility better than those nurses who work for companies that squeeze every penny out of a nurse without regard to quality of work. The physicians will and hospital discharge planners, in the new world of accountable care, will gravitate towards the agencies with character that they can depend on. At least that’s the way it happens on my planet. Of course, on my planet, I am also ordained as a minister and preside over the funerals of those agency leaders who don’t do things the way I want. This is really good. I am forwarding it to all the leaders in my system. Several months ago we accepted a young patient who spent 2 months in ICU with multiple organ failure due to H1N1. After a short stint in rehab he came home, he had MediCal (medicaid), and what we thought was a primary MD to sign the plan of treatment. Because of his multiple issues the MD refused to pick him up as a patient even after seeing him in his office he refused to sign the orders for HH. I literally spent 2 days on the phone trying to find a Doc to accept our patient so we could continue to provide care. I am grateful you like you read my blog because you are the kind of nurse I take time out of my day to share my experiences with. And the really sad thing is that the agencies who are truly motivated only by money make a lot less than agencies who do things right. Working a post with cold hard numbers about that now. Check back tomorrow. Amen! We are one of those agencies that often, very often, get called and the first thing the d/c planner says is “This is the 4th…7th…11th agency I’ve called, then they proceed to leave out the most important parts of the patient history because they know why the other agencies have said no and they do not want another ‘no’. If there is any way possible, we accept. We have even been known to s-t-r-e-t-c-h staff to the max just to say ‘yes’. But I do not have a nurse liason to keep staffed in every hospital in town, so I rarely get paid back even when I ask. I do not feel it is the d/c planners fault in most cases, but I really do not understand how agencies can ALWAYS staff a good-paying patient and NEVER staff a poor-paying patient! And by the way, our outcomes are very good, better than most and at least as good as any other agency in our coverage area!! We tend to pride ourselves on accepting any patient we can staff, because the patient is what matters most! That really bites. I feel your pain but the good thing is that as of Sunday, the hospitals were given incentive to refer to the agencies with a low hospitalization rate. Just for fun, go to home health compare and get your hospitalization rate along with the agencies who cherry pick. It may not show anything exciting but then again, if your rate is lower, keep in mind that it is public information. I would design a very loud graphic representation of your hospitalization rates compared and then bring it to the discharge planners. Hospital liaisons are very controversial. If the ‘liaison’ does any work at all for the hospital, it could be construed as giving away free services in exchange for referrals. Tell me what nurse is not going to stop and help a patient who has fallen or complaining of chest pain? I really do like the idea of having the admit nurse visit the patient in the hospital prior to discharge but before I recommend it loudly, I need to get some advice on whether or not it could be construed as giving away free services. If nothing else, a phone call to the patient’s nurse and/or the family members prior to hospital discharge to get the current MAR and a verbal report along with reassurance from the family that someone is available to pick up prescriptions, etc. would go a long way to reducing the risk of hospitalization in the first few weeks of home health.